Beautifully constructed of solid Mango wood, the Astoria Dining Table is strong and built to last. 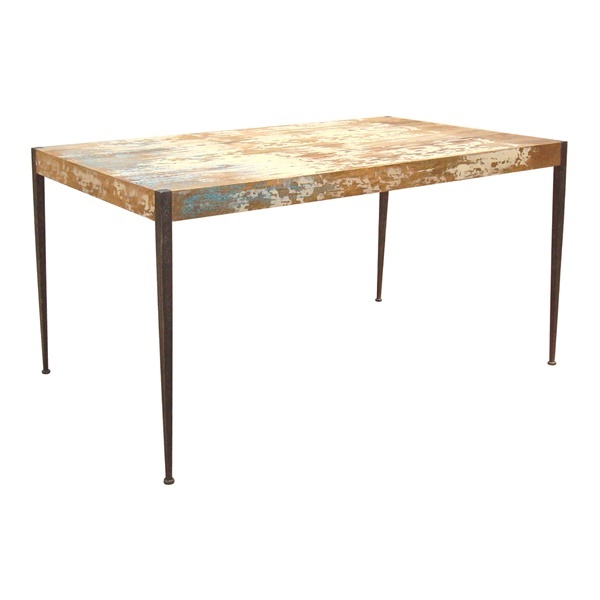 The legs are made of iron for added durability and increased visual appeal, while the unfinished, distressed tabletop and legs feature a rustic, industrial look that will complement a wide variety of decors. The fully distressed white with blue rub-through finish is perfect for creating an interesting focal point in your dining area. You can complement this dining table with the Astoria Coffee Table, End Table or Console Table to get the complete look for your home.